Container ship MSC Maya successfully docked at DCT terminal in port of Gdansk and became the largest vessel ever called at the Polish port. The berthing operation of the giant ultra large container ship lasted about two hours and were secured by four tugs and well experienced pilot. The container carrier successfully docked at the newly developed container terminal and open new page of the Polish port. The container terminal already is equipped with large STS cranes, which are able to handle the new generation ultra large ships with up to 25 rows of containers. The new achievement is important for the port authorities, who aim to make port of Gdansk one of the cargo hubs in the region and key terminal for East-West shipments. “It’s a big moment for us, because it is currently the largest container ship in the world”, said the CEO of DCT Gdansk, Maciek Kwiatkowski. “In 2013, at the port called slightly smaller container vessel of Maersk Line with Triple-E class, but now we are developing to meet the latest demand of world shipping”, added he. 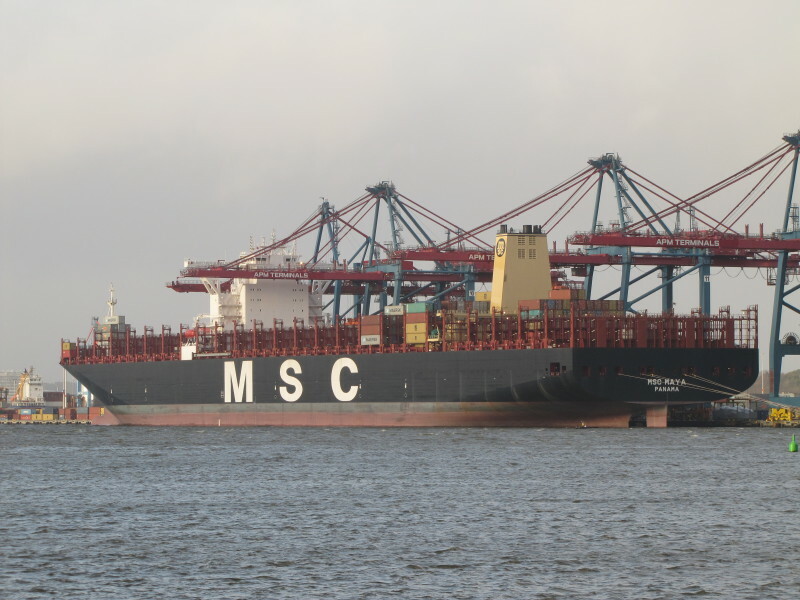 The container ship MSC Maya is operating by MSC in the framework of the 2M Alliance on Far East-Europe routes. 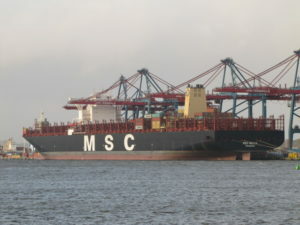 Earlier, the route was serviced only by the Triple-E class vessels of Maersk Like, but now into the service are implemented also the ultra large container ships of MSC. The unloading and loading of approximately 10,000 TEU of the vessel in DCT terminal in port of Gdansk takes 2-3 days. Container ship MSC Maya (IMO: 9708679) has overall length of 395.40 m, moulded beam of 59.00 m and maximum draft of 15.40 m. The deadweight of the vessel is 197,362 DWT and the gross tonnage is 192,237 GRT. The ship was built in 2015 by Daewoo Shipbuilding & Marine Engineering in their shipyard in Geoje, South Korea under yard number 4280.